Broker is licensed in Montana. 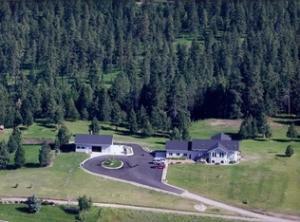 Overlooking the valley floor with jaw dropping views of the Missions and distant views to Flathead Lk. Expansive paved private drive, truck wash bay, huge finished shop with office and plumbed for RR. Home is bright and cheerful: open floor plan, spacious bedrooms, baths, media room, bar and game room,surround sound in and out. Covered outdoor entertaining patio lower level with pave stone stamped concrete, lush with water feature and flowers.